Ergonomic. Anti-shock system-has bushings in the handle to reduce shock. Magnet on the handle. Very smooth head. 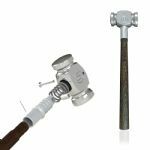 Crafted in Italy the NEW Double S Rounding Hammer has a unique patented Anti Shock system built into the head of the hammer to reduce vibrations. 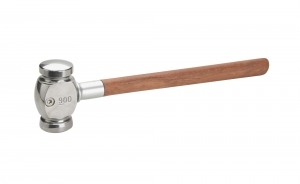 Made from high quality anti chipping material with an oval head, coupled with an anatomically designed handle made from extreme quality wood, This certainly will become a firm favorite with farriers worldwide. See this You Tube video to learn how to change the handle and bushings when they become worn-out. 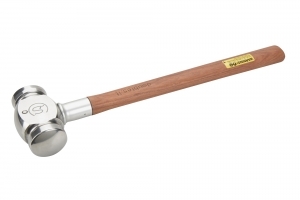 Be sure to check out the Double S Driving hammers too!